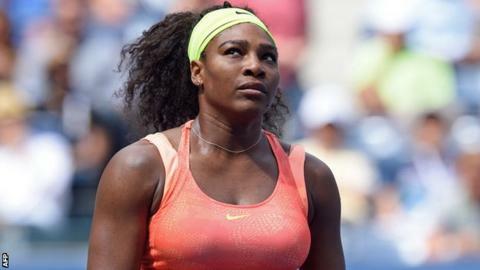 World number one Serena Williams will take the rest of the year off to recover from injuries. The 21-time Grand Slam champion has withdrawn from the China Open, which starts on Saturday, and the season-ending Women's Tennis Association finals in Singapore. Williams, 34, missed the chance to seal a calendar Grand Slam when she lost in the US Open semi-finals in September. "It's no secret I've played injured most of the year," said the American. "Whether it was my elbow, my knee, or, in the final moments after a certain match in Flushing (Meadows), my heart." She added: "I am taking a proactive step and withdrawing from tournaments in Beijing and Singapore to properly address my health and take the time to heal." The WTA confirmed it has been told of Williams' decision. She won the Australian Open, French Open and Wimbledon in 2015 but has not played since her US Open defeat by Italian Roberta Vinci. Her coach Patrick Mouratoglou questioned whether Williams would play again this year due to a "lack of motivation" after the US Open.